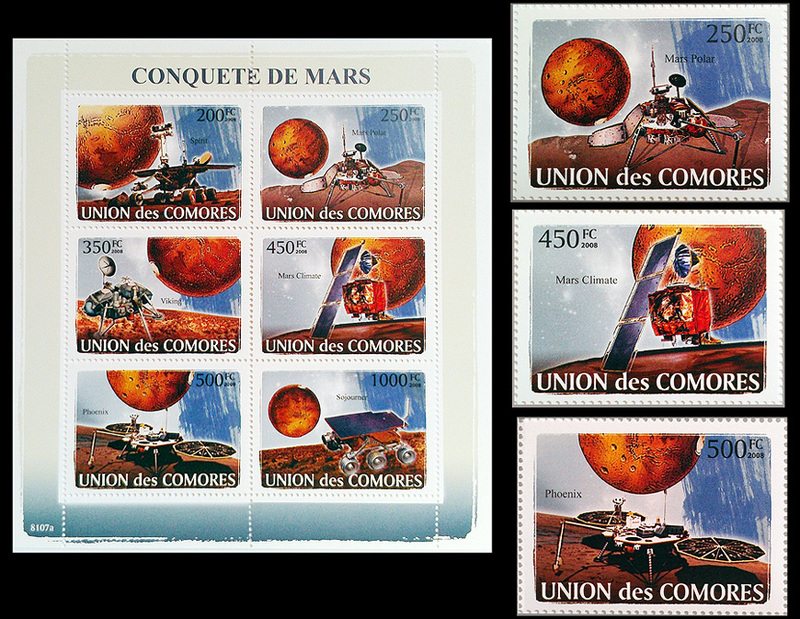 Three of my spacecraft images appear on these stamps issued in 2008 by the Comoro Islands, which are located between Madagascar and Africa. At right are the three stamps with my artwork. The first show the lost Mars Polar Lander, the second shows the lost Mars Climate Orbiter and the third stamp shows the successful Phoenix Mars Lander.